Getting a new roof for your home is one of the most important long-term investments you could ever make. As such, you should work with reliable and experienced experts, every step of the way. A Cut Above Exterior is the company to trust with your roofing needs in Portland, Oregon and its surrounding areas. We work with the understanding that quality materials and professional installation are the keys to making you feel comfy and secure at home, in any weather. This approach has earned us a consistent top ranking among the top remodeling contractors nationwide by Qualified Remodeler Magazine, the Oregonian, and even the Better Business Bureau. No other roofing contractor offers the assurance and peace of mind that you’ll get when you work with us. As your trusted local roofer, A Cut Above Exteriors offers top of the line options famous for their tested durability against the alternating weather patterns of the Pacific Northwest. CertainTeed composition roofing well known for its longevity, energy efficiency, low maintenance, and aesthetic quality. We will work closely with you to make sure you select the shingle style that best fits the architectural design of your home perfectly. When it comes to the installation, our experience makes all the difference. We’ve handled many roof replacements over the years, delighting homeowners with our service and personal attention. We are committed to providing the utmost professionalism while crafting a customized roofing solution, just for you. As our valued customer, you can count on us to give you the service that is indeed a cut above all others. We take great pride in the quality of our work and will back them up with transferable warranties for your absolute peace of mind. With our exclusive 5-star installation methods, we warrant your new roof for as long as you own your home! Should any issues arise, our dedicated team will be on hand to provide the needed service. We also know that the need for a roof replacement can come at the most unexpected times, which is why we offer flexible financing options, so you can get started on your project right away. 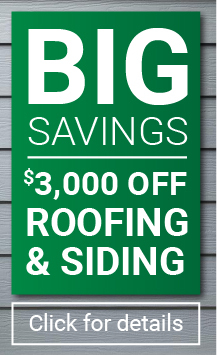 Get in touch with us today for a FREE estimate on your roofing needs. Give us a call at 503.334.0733, or fill out our Contact Form, and we’ll get back to you.